More people are meeting Jesus, hearing the Word, and growing spiritually. For 88 years, Ataners Mollel waited. A shepherd in rural East Africa, he waited for hope, for peace, and for Good News. Now through American Bible Society’s special ministry outreach in Tanzania, Mollel’s wait has ended. Now, thanks to American Bible Society’s financial partners, Mollel has a Bible of his own! And although he cannot yet read, his grandson reads God’s Word to him. Through a three-step process of Scripture engagement and discipleship, more people like Mollel are meeting Jesus and growing in the Christian faith. 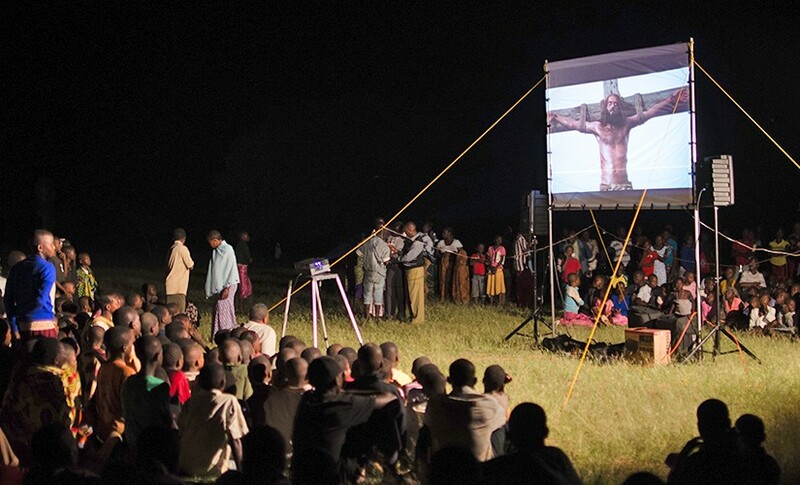 First, hungry souls are invited to the JESUS Film. Second, they join a local audio Scriptures listening group. And finally, when they listen to at least 60 percent of the New Testament through the Bible listening group, they receive a Bible of their won. Already American Bible Society’s financial partners have helped give more than 300,000 people access to God’s Word through this special three-step program! But we are not yet done. So many more wait for hope, for peace, for God’s Word. The continued support of our financial partners is critical to sharing the Gospel, engaging people in Scripture, and discipling believers with God’s Word.